April: A Day; A Lake . . .
North of Manhattan I have fished several times in several locations. A fact may be the environment of a stillwater is more important than a place name. 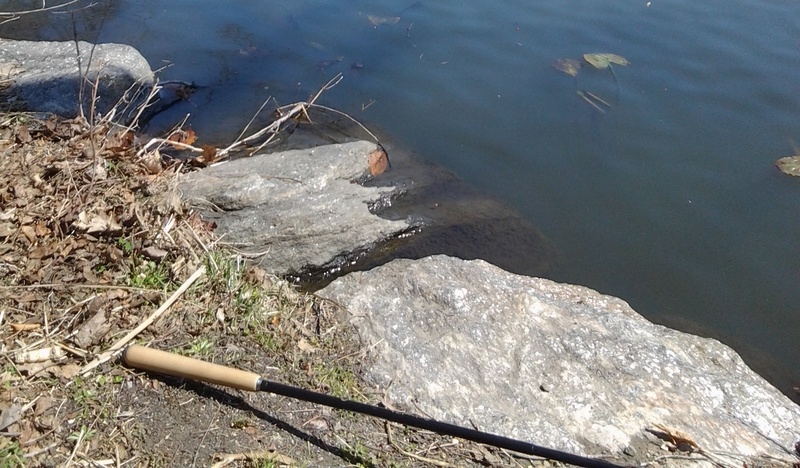 If you have a pond accessible in early spring, do fish tenkara there. You may catch panfish, bass, even perch and trout and pike, sized to the scale of the rod you choose. Ebisu and I ventured into a brisk wind, cold, just not enough cold to put on my fingerless wool mittens. I knotted on a 4X length of tippet a weighted chenille pattern, olive in color, 10 in size, as well as later a classic size 12 Zug Bug nymph tied expertly by the folks at Umpqua. My new tool: a treat; a tapered, woven, 11 ft. Tenkara USA line dressed in a pale olive color. Converted, instantly, instinctively I was to this line despite the wind level; it was obnoxious enough to make me laugh out loud with myself. Clean and neat is the tapered line. Greeted I was, after four or five casts, by a modest largemouth bass sporting a clean and neat pattern. The fish met me during a slow Leisenring Lift beside some submerged sticks. Visibility was the best in a year as I would learn further, later, casting to carp on the lily pad flats. I added a foot or two of Berkley Trilene green 10 lb. monofilament to absorb abrasion and to act as transition between the visible tapered line and the invisible tippet. A loop to loop between tapered line and transition is matched on the other end by a double eight knot on the transition and some kind of slip or clinch knot on the fine side. 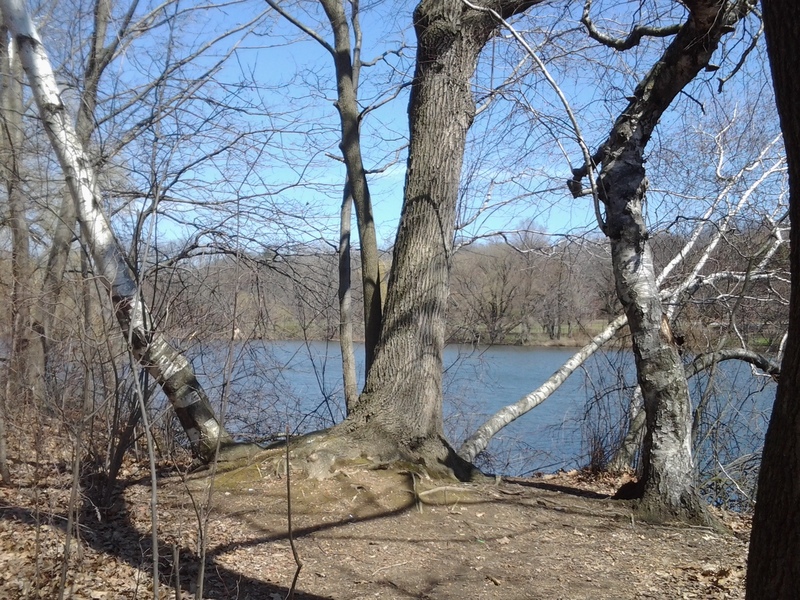 Moss gone green; skunk cabbage and onion grass in sprout; red buds tipped the trees, all below a blue as clear sky. The wind remained generous. I learned to cast in step with it toward promising stick piles and boulder banks. My number of chances at a carp on the flats equaled one. A fish of eight pounds to my eye passed by me bankside. I decided to spin. I pulled the lever, placed the sinking fly four feet in front of fish with a light and tight ripple following its swinging caudal fin. The fish swam on ahead on a singular mission of its own. 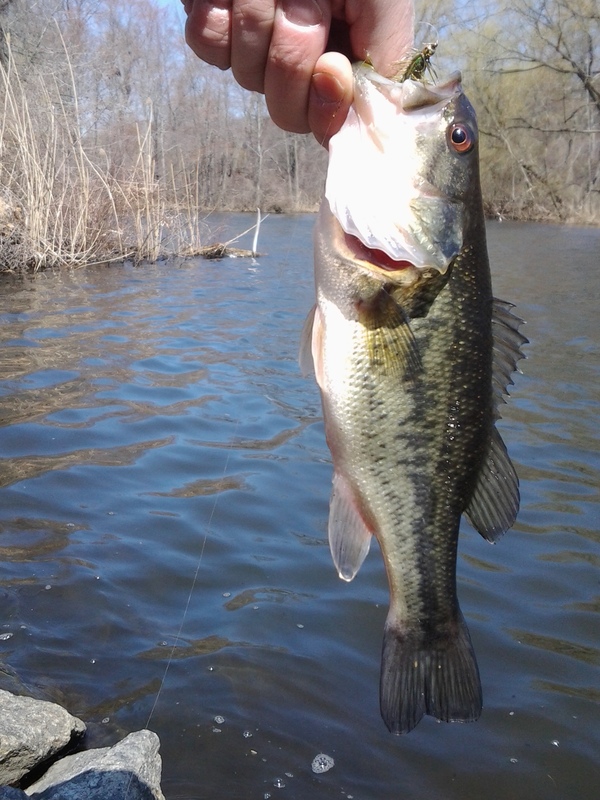 The second bass proved to be a miracle of play and patterning. A strike out of visual depth pulled tightly, approached the surface; its side rippled flashes metallic, resisting in equal the bending Ebisu. I had five or six feet of bank to each side, one occupied by a sunning turtle I did not want to disturb. I tiptoed behind the shell; our eyes together, as the rod doubled down like an extended arm wrestle. My thumb, up, won a short photo session with a long fish; a female to my eye and understanding of fish profiles. Rare have I seen such clarity and splendor in the prominent black lateral line and bordering blotches. Each bass flank is a flag. This one remains high at full mast. Open brush and dry phragmite stands around an adjacent pond’s perimeter afforded me a chance to ruminate on the catch. I cleared out a measurable amount of public plastic trash, which I disposed of later at a public can. Glass and metal do not disturb me so much as these materials, in moderation, weather better. Plastic, however, and batteries? The bits and pieces add up. Besides, you want your photos to look clean! Just a Second . . .
. . . As in Happy Second Anniversary . . .
. . . Tenkara Takes Manhattan . . .
New Year, New Gear . . . 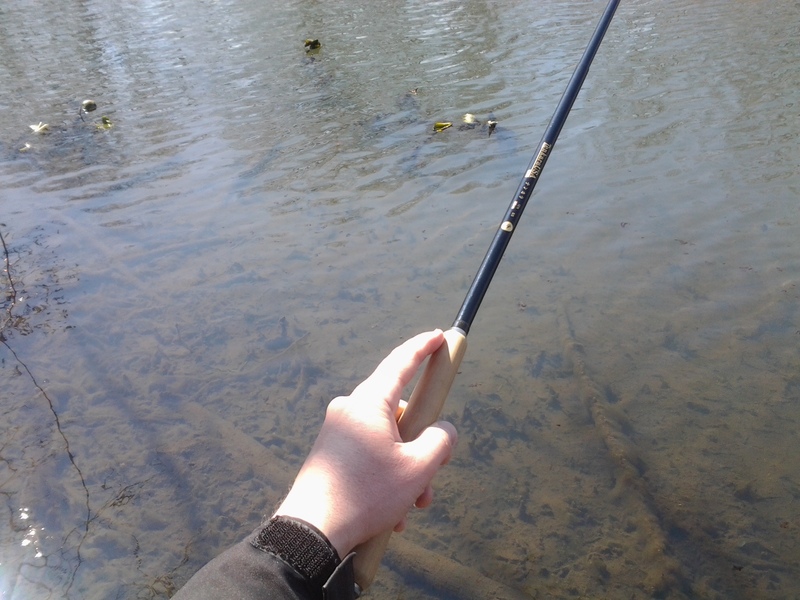 The “Polar Vortex” of 2014 has placed an unbroken solid ceiling of ice on my favorite local ponds and streams, yet I can still daydream of a day spent with my Ebisu tenkara rod, casting over open water, tussling with trout or panfish. The USPO (and Tenkara USA) helped fuel my imagination further by delivering some new gear to my door. 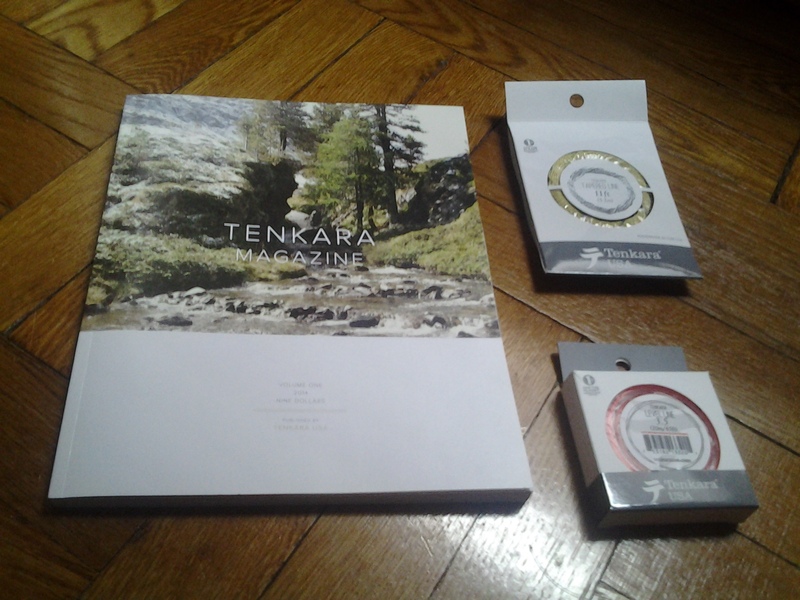 I received the debut issue of Tenkara Magazine as well as a new supply of 3.5 Level Line. 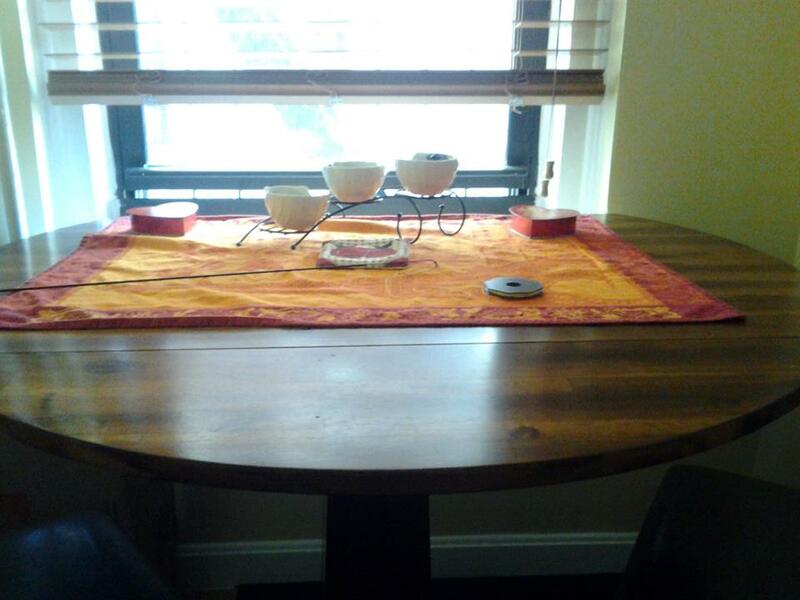 Most exciting for me was the arrival of my first traditional tapered 11 ft. line. I can already tell by the look and feel of this 3rd generation product that I shall be casting into an April breeze with more confidence and accuracy. 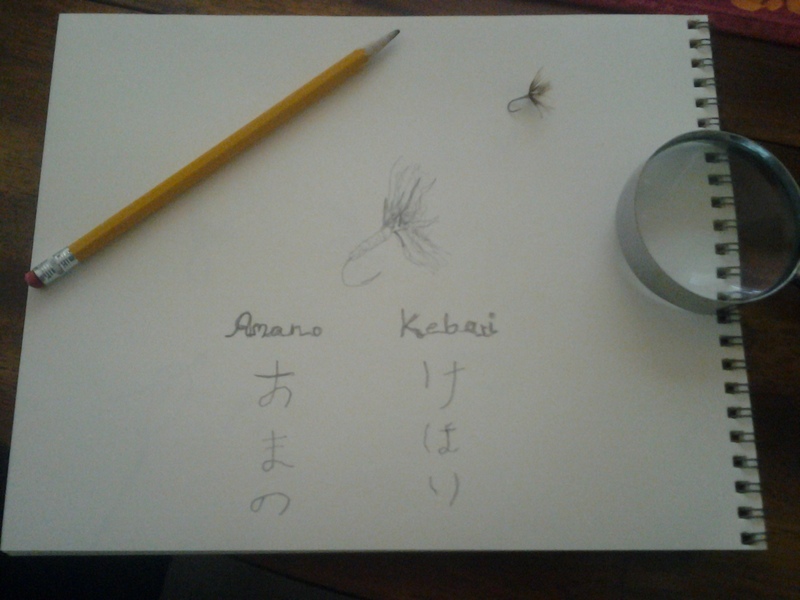 All I need do now is set up my vise beside a snow-bordered window, tie some kebari . . . and wait for the warmth at the other end of winter.